Starting 2/28 for Parents of Daughters and Starting on 3/21 for Parents of Sons. This class is based on Vicki Courtney's best-selling book, 5 Conversations. Vicki is a national speaker and best-selling author. At RockPointe Church, we desire to be a church that partners with families in ways that help to build healthy relationships between parents, kids, and spouses. 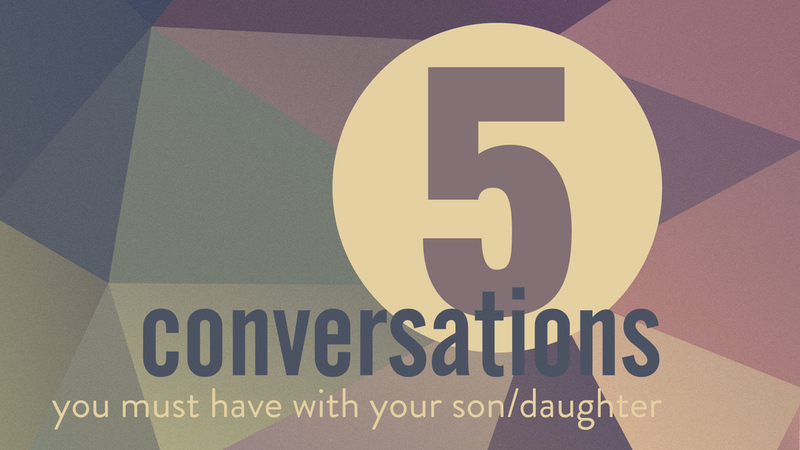 With that goal in mind, we are offering a class that focuses on Vicki Courtney's book "5 Conversations You Must Have with Your Daughter" planned for 2/28 and 3/7 then another 2 weeks focused on "5 Conversations You Must Have with Your Son" 3/21 and 3/28. These conversations are meant for ages cradle to college, so you can tell the truth about life to your children before they believe the culture’s lies.